The new generation Leaf will be unveiled internationally on September 6. Nissan is finally ready to launch an all-new Leaf, the electric vehicle that was first launched back in 2010. A tweet by the company's global Twitter handle has confirmed that it will be launched on September 6, although further details about the car is still under wraps. Despite that, one thing that is bound to improve is the driving range of the new Nissan Leaf, which should go up from the 172km that it delivers right now. The new generation Leaf is expected to bring a new facade as well, with reports suggesting that Nissan will base it around the futuristic and rather aggressive 2015 IDS Concept. While the Nissan IDS Concept had electric motors under the hood and autonomous driving wizardry inside, the Leaf may make do with an improved all-electric powertrain and advanced driver assist features, seeing how autonomous elements are still far from production. It should come with connected car telematics, with Nissan already having touted to be including connected car infrastructure in its present vehicles. The new hatchback is expected to go on sale by early 2018, although it may not make it to India for the time being. 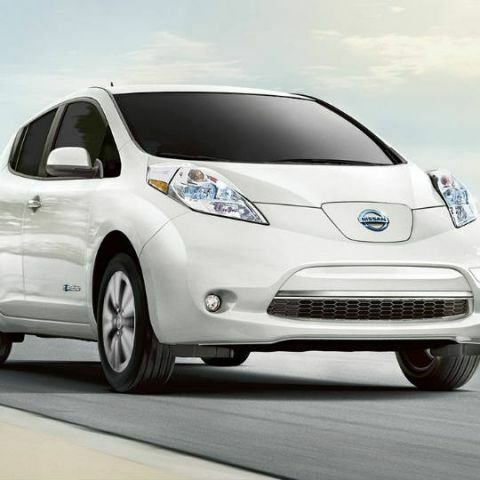 The Nissan Leaf is known for being the very first mass-production EV to have gained popularity and really sold. Its primary rivals will include electric cars from Tesla, Volkswagen and others. Incidentally, both Volkswagen and Tesla are big on electric vehicle future plans. VW has laid out its plans to mass promote its electric vehicles in the coming years, and Tesla has been the world's first notable success story for all-electric car makers. Despite the government's recent interest in promoting all-electric cars, EVs still remain some time into the future on Indian roads. Plans are presently in place to develop a charging station network as common as refuel stations right now, and entry dates for Tesla and cars like the new generation Nissan Leaf will depend heavily on this. Still, it remains to be seen if Nissan is already considering India in its global EV roadmap when it launches the Leaf in September. How to set GRUB password in Linux? How to set password on BOOTLOADER?